Major Travis Yates began his career in 1993 with the Tulsa (OK) Police Department. He has served 18 years of his career in a patrol function with other assignments in Gangs, Media Relations, Training and Planning. Travis has been recognized throughout the world in regards to law enforcement training and received the International Police Trainer of the Year Award in 2008 by ILEETA. He is an Editor with Law Officer Magazine and is one of the most prolific writers in law enforcement, authoring hundreds of articles for various publications including The Daily Caller. Travis is often interviewed by major media outlets in regards to law enforcement with past interviews with CNN, USA Today, ABC News, Nightline and the Associated Press. He holds a Master of Science Degree in Criminal Justice from Northeastern State University and is a graduate of the 227th Session of the FBI National Academy. 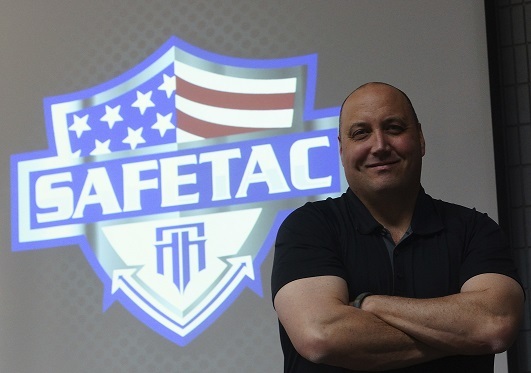 Travis is the Past President of ALERT International and founding member of the Below 100 Initiative which strives through a series of articles, classes and “train the trainer” courses to reduce line of duty deaths in America to below 100 per year. His latest seminar, Courageous Leadership for Law Enforcement, has been popular throughout the country and will have an accompanying book in 2017. Read The Latest Endorsement Letter about Travis. Whether it’s his decade long seminar called Drive To Survive, Officer Survival Course or Courageous Leadership, Travis Yates will bring a passion and enthusiasm to your audience like you have never seen before.